« The stamp of the Russian “jeweler” – a monopoly? When buying a ring with diamonds or other precious stones, choose a product that makes a delightful impression, but do not forget that you should carefully weigh the decision to purchase it. The decision-making process is also a kind of ritual: after all, you need to make the right choice. Just like you take on a dress or a suit, depending on your personal style, shape and compatibility with other elements of your wardrobe. When you choose a ring, you should take into account the shape of your palm, and in particular, the fingers, and also not forget about your own sense of style. Partially this feeling will tell you how you are going to wear this ring. If we take into account all the above points, then you can make the right choice of your future ring. Even before studying the styles of rings, take some time to look at the shape of your palm and fingers. Is your palm stretched or wide? Are your fingers round or thin? Are they thinning in length or, on the contrary, thickening? These details influence how the ring looks on your hand. You already know that for your figure there is a red wide dress and next to it you shouldn’t have a narrow, fitting dress that slims you, and the neckline favorably emphasizes your virtues. Now work your palm. This is the simplest basic rule: a wide one makes a wide one even wider, and a long one makes a long one longer. Therefore, if you strive to reduce the width of the palm, when choosing, focus on products of elongated shape and design. 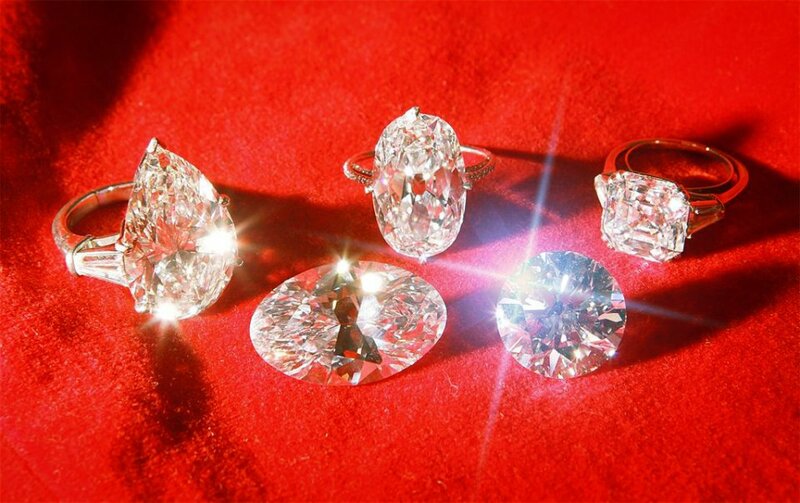 Look for an oval-cut or marquise-cut diamond ring, in which case your fingers will inevitably look longer if they are decorated with just such a ring. The shape in the form of a pear may also come up if it is a completely slender pear with a narrow rounded tip that narrows to a point. Remember that not every pear can boast of such a form! There are very plump pears and, on the contrary, very “thin” pearls; everyone can find the ideal shape for themselves. 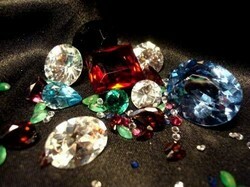 But the perfect gem does not mean that it is perfect for you. When you buy a diamond or other gem in order to wear it, and not just to invest your money in jewelry, the stone may not have perfect proportions, but it will look great on your hand, even if it is too wide or narrow in order to get closer to the ideal. 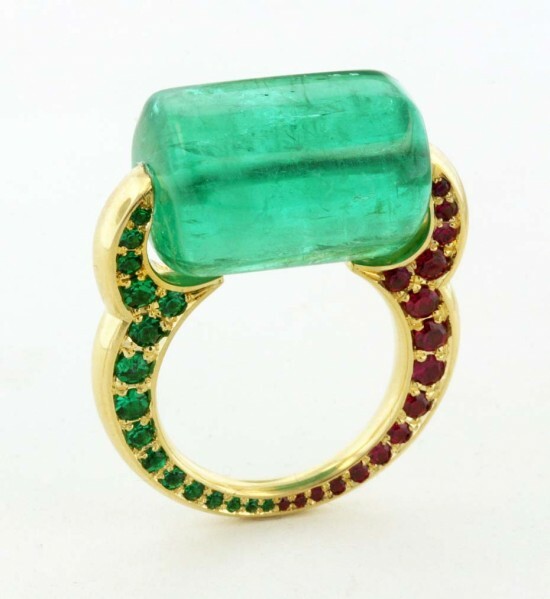 Emerald or rectangular cut is perhaps also a good choice, provided that the stone has elegant proportions. Rings have three important indicators: style, depth and length. A stone in a multilayer frame looks more impressive if these layers are asymmetrical. 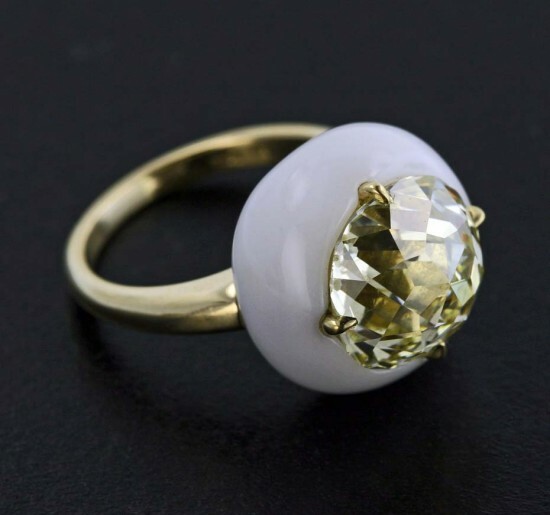 Thus, favorably emphasizes the appearance of the stone and its length. If the fingers are thin, you should look for the shape of a “plump” pear, an oval or a marquis cut, which makes the finger a little wider than it is. A round-cut diamond is also suitable for you, especially if the rim itself is quite interestingly made, which attracts the eye to the finger. Thin fingers – an excellent showcase for a wide frame, which allows you to position the stone above the finger and distract the eye from the finger itself. Choosing the shape of the decoration, you can not take into account the shape of the palm and fingers. Choose a design proportional to your hand. A woman who has a big palm can only win by buying a large, multi-level ring, against the background of a woman with a small pen. When choosing a ring that is decorated with several stones, the rim acquires key importance in determining the overall shape. In this sense, the choice is so huge, how many designers exist. 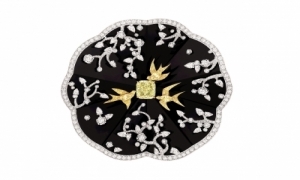 There are rings with clusters of stones, made in the form of a flower; There are “mesh mesh” rings in which diamonds seem to stretch along the rim lines; There are rings “ballerina” in which baguettes have a wave-like shape, which very much resembles the border on the dancer’s tutu.